I have a few pictures from Washington, DC that I wanted to share with you following my own quick trip out to the state capital this past week. 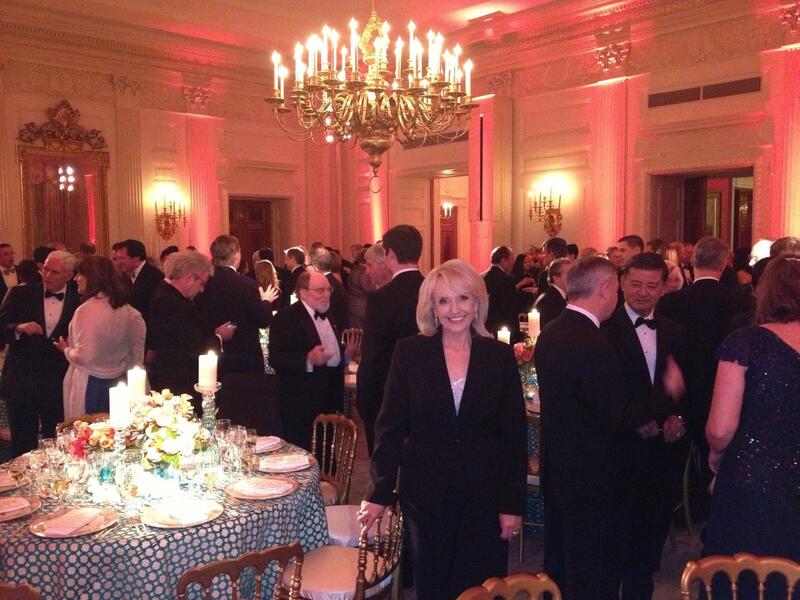 Governor Jan Brewer also visited Washington, DC this week (not with me, but I like the coincidence). I also have a few pictures I saved of Sgt. O’Brien that he shared recently. This is a perfect week to bundle them together and share with you. Enjoy! You can follow Governor Brewer on Facebook. I’m glad she had a chance to get out and enjoy walking around DC in between meetings. Let’s enjoy some other DC pictures shared from our friends! Do you remember Sgt. O’Brien? 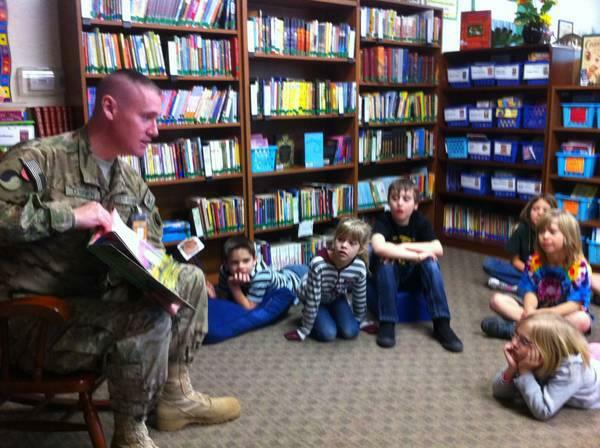 This is Sgt Frank O’Brien reading in our library. Sgt O’Brien lives in Washington, DC. He flew out to thank the kids for their letters while he was deployed. I hear from Sgt O’Brien from time to time, I am happy to say he loves his new job at the Pentagon. This is Sgt. 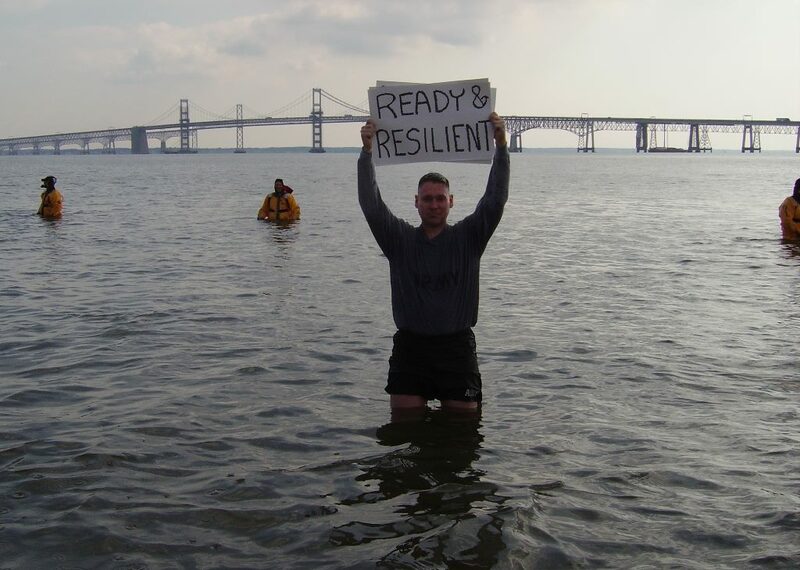 O’Brien participating in the Polar Bear Plunge in freezing Potomac river in January. I bet Sgt. O’Brien was pretty chilly! I have to laugh, he reminds me of some of my students who wear shorts and flip flops despite the cold! 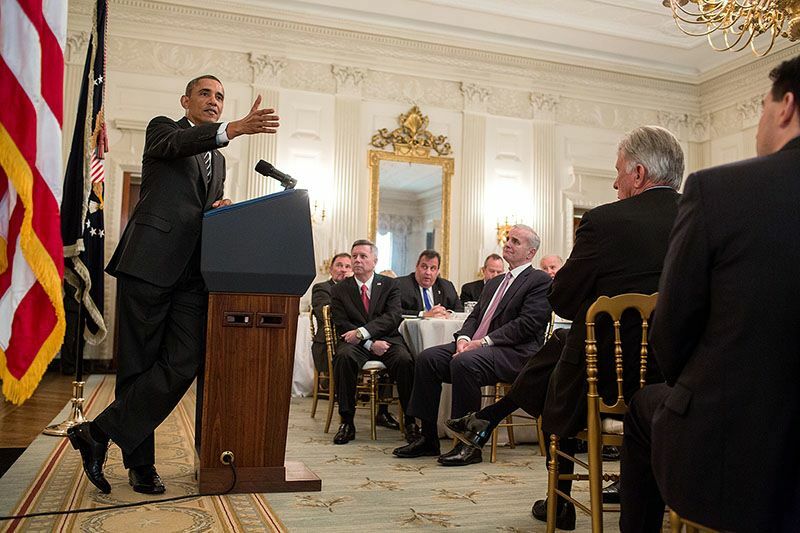 White House Photo of the Day, showing President Obama speaking at the National Governors Association in the State Dining Room, Feb. 25, 2013. 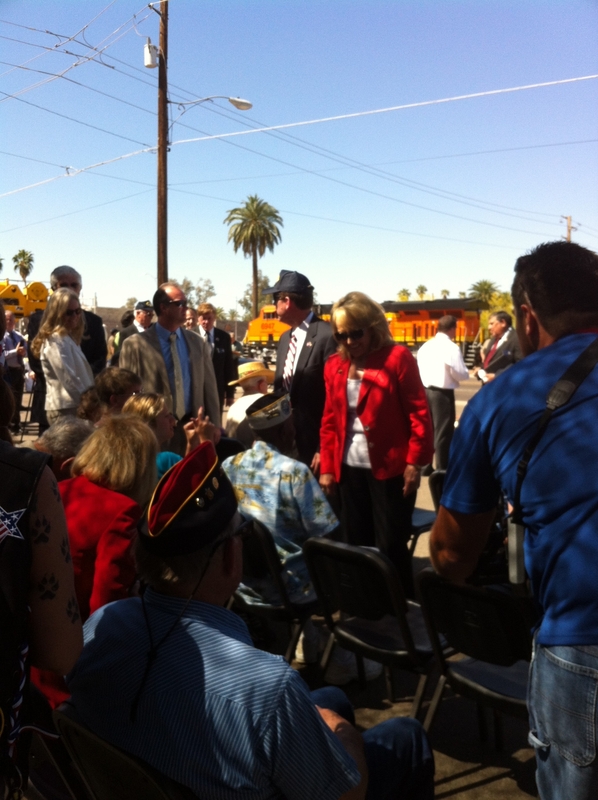 This is one of Governor Brewer’s meetings. 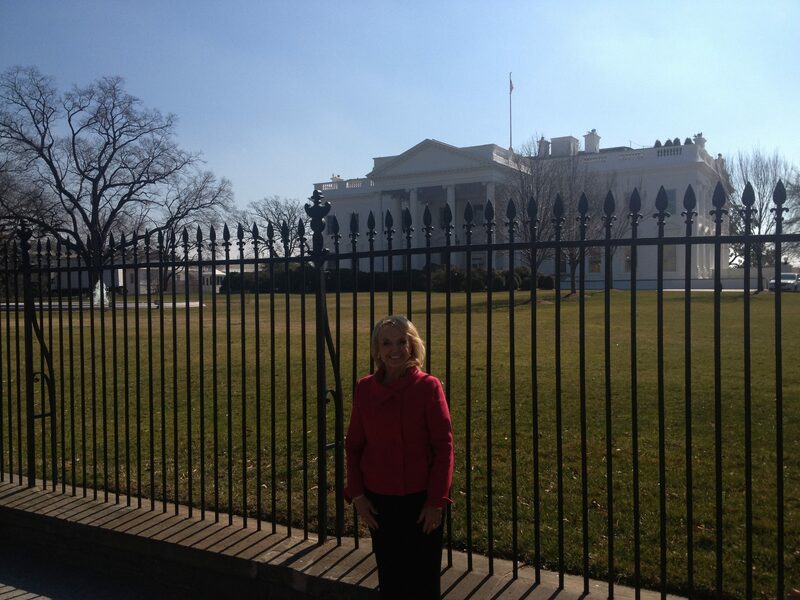 Governor Brewer shared this picture taken on February 25, 2013 at the White House. Last night I attended dinner at the White House and today met with President Obama. I’m now heading to the Pentagon for a meeting of the Council of Governors to discuss homeland defense and the National Guard. Tomorrow meetings at the Capitol. I’m working hard for the citizens of Arizona! This is a few weeks old, but still very special. On February 11, 2013, former staff Sgt. 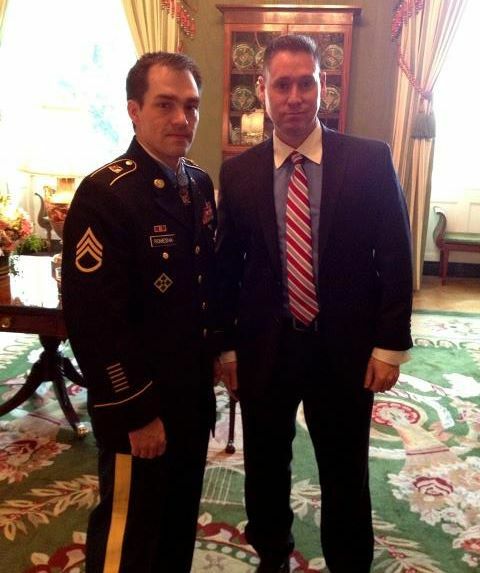 Clinton L. Romesha, 31, became the fourth living Medal of Honor recipient at the White House. Sgt O’Brien met him and shared this picture with us. 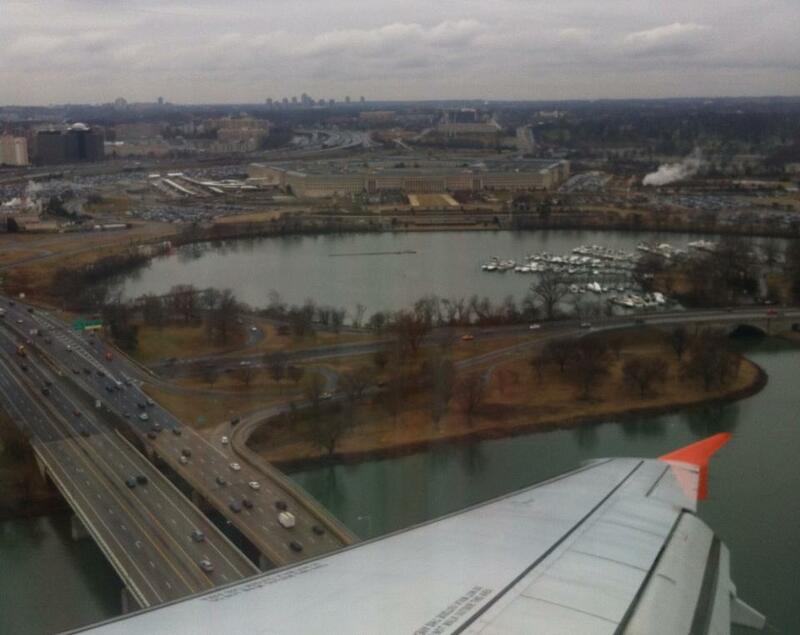 I took this picture from my seat when our plane passed over the Pentagon. I waved goodbye to Sgt. O’Brien and Washington, DC. It’s all about honoring the people who protected our freedom, not the guns. School was closed on Friday and that meant a trip downtown to witness the U.S.S. Arizona and U.S.S. Missouri guns arrive by rail. I’ve followed the story of the project online. Having a free day meant my boys could see the plaza, mingle with people that love history and welcome the guns to the State Capital. We can donate online, we can attend the dedication and later we can enjoy picnics near the monument and know we are a small part of it’s story. It felt great to welcome the train as it pulled up to the Capital. There was an audible feeling of happiness in the air. Volunteers from BNSF railroad had polished the engine the night before for the ceremony. I am curious about these guns, so I did some research. The U.S.S. Arizona is at the bottom of Pearl Harbor, so where did the gun come from? It seems this particular gun barrel was on the USS Arizona from 1925 until 1938, when it was relined and sent to Dahlgren for testing. It later was installed on the “super dreadnought” USS Nevada in 1942 and supported the D-Day invasion on June 6, 1944. The gun fired 244 rounds between June 25, 1943 and Aug. 26, 1944, according to Navy records. The Arizona barrel still includes the yoke and breech mechanism, part of the gun’s firing assembly. Other gun barrels at Dahlgren are missing those components. “The fact that this one is intact is kind of nice,” said Capt. Michael Smith, the NSWC commander. Because both of these ships were involved with the beginning and the end of the war (the peace treaty was signed on the U.S.S. Missouri) then the guns are considered an alpha and omega to World War II. Max with Shorty. He said he was decorated by President Truman and dubbed the shortest decorated navy man in the service. He served on board an aircraft carrier, the Shangri La during WW II. It was great to shake the hand of a man who shook Truman’s hand. Among those in attendance were vets, a WWII WAV, Buffalo Soldiers, representatives from the Rotary Club and BNSF railroad who all had a stake in making the monument happen. Arizona Secretary of State Ken Bennett described how he called the Navy Department of Inactive Ships (INACTSHIPOFF) to track down the guns. He asked for the U.S.S. 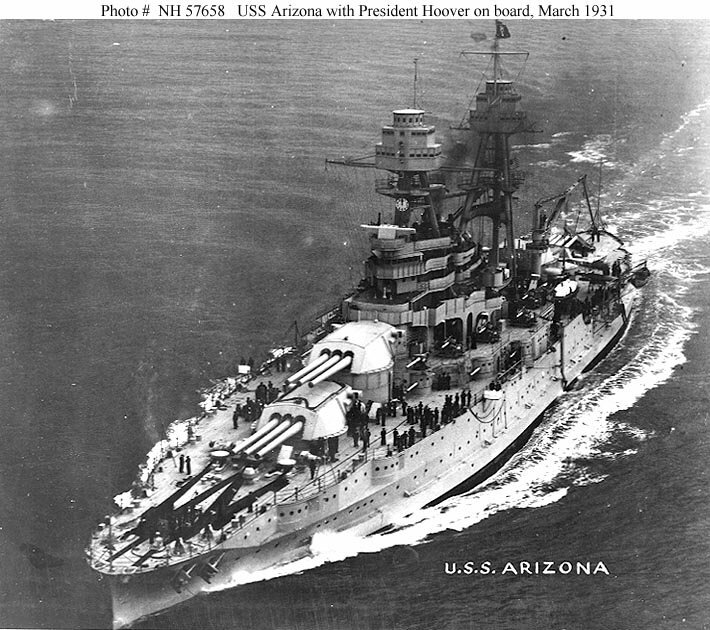 Arizona gun (understanding it was their last one) and the Navy said no, how about one from the U.S.S. Missouri, we have seven? Secretary Bennett persisted, as we are Arizona after all, and not Missouri. He said, “how about both?” In recognition for thinking big, we were granted both and the challenge of bringing them to the state. Secretary Bennett joked that this taught him that when you ask for one thing from the government the answer is no, but if you ask for two things, the answer is yes. I was impressed at the tenacity of the journey to bring this monument to life. Apparently Senator John McCain started the process in 1990 and here we were 22 years later, welcoming them to Phoenix. It is easy to walk by a monument and take it for granted but I learned from growing up near Gettysburg Battlefield that each monument represents a caring community who want to honor their loved ones. Following the ceremony, we had the privilege of meeting some of the vets. Lambert Mudder is 91 years old. He is known as “Old Gramps” to the students at Greenway Middle School. He visits the school every year to talk about Pearl Harbor. 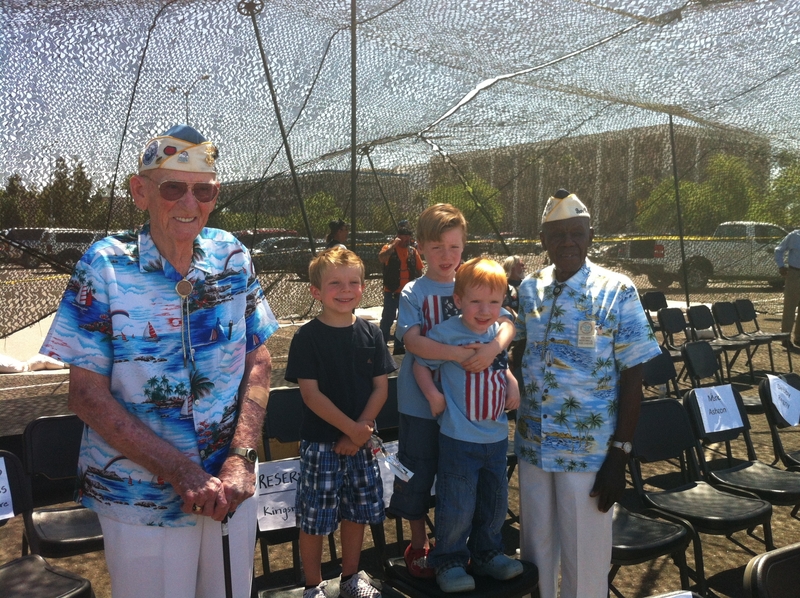 One particular class impressed him so much that he invited them to join him in Hawaii for the 2011 dedication of the Visitor Center–against the odds, they raised the money and joined him. Nelson Mitchell was a server aboard the USS Jarvis, during the attack. His ship was one of the first to engage the Japanese and join the fray. When I researched both of these men, I found coutless incidences of them showing up around the community speaking, inspiring and making history come alive. 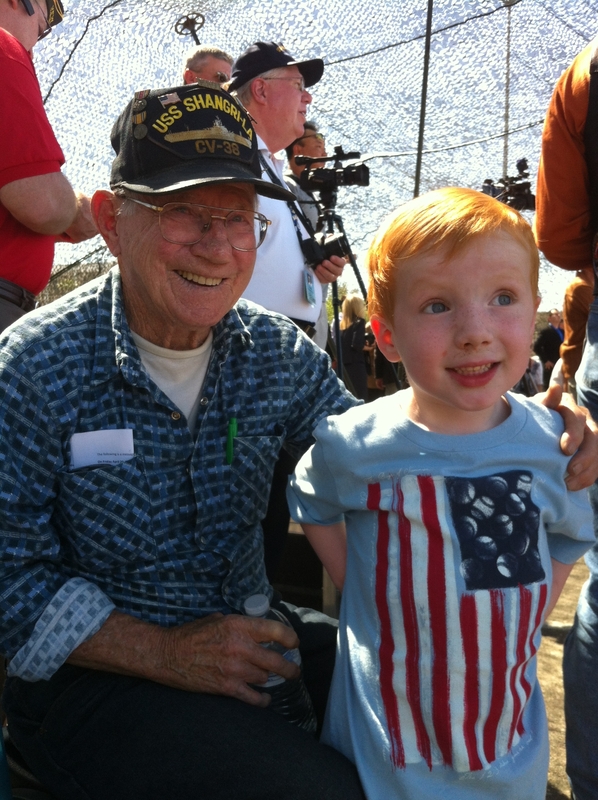 This is one reason we call them the Greatest Generation. 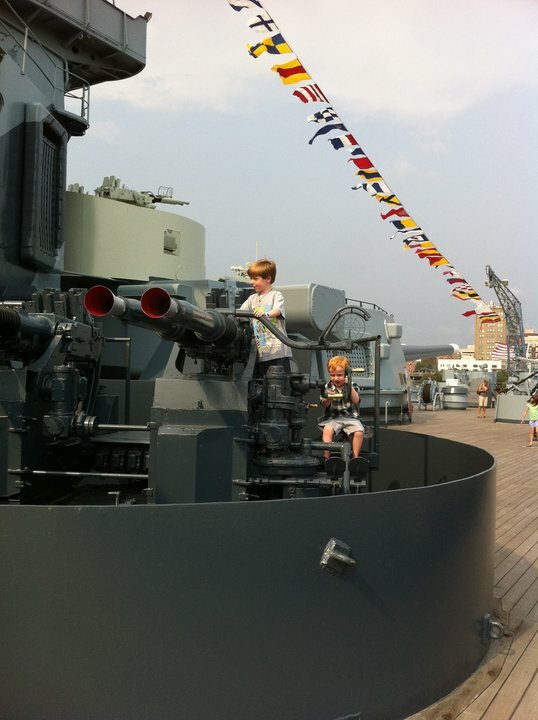 The boys on board the U.S.S. North Carolina, Wilmington, NC. The North Carolina is identical to the Arizona. (2011). The Arizona State Capital was converted to a State Museum in 1977, it is free and open to the public. 2012 is Arizona’s Centennial, which makes this the best time to take advantage and visit the museum. I’m always looking for a way to beat the heat in the summer, so we will be sure to stop by again in June and tour the interior. The copper domed capital is set in a plaza with free 2 hour visitor parking. The Wesley Bolin Memorial Plaza is a generous sized green space in the capital complex, in the style of the National Mall. It features 30 monuments or memorials set among trees, pavilions and grass. 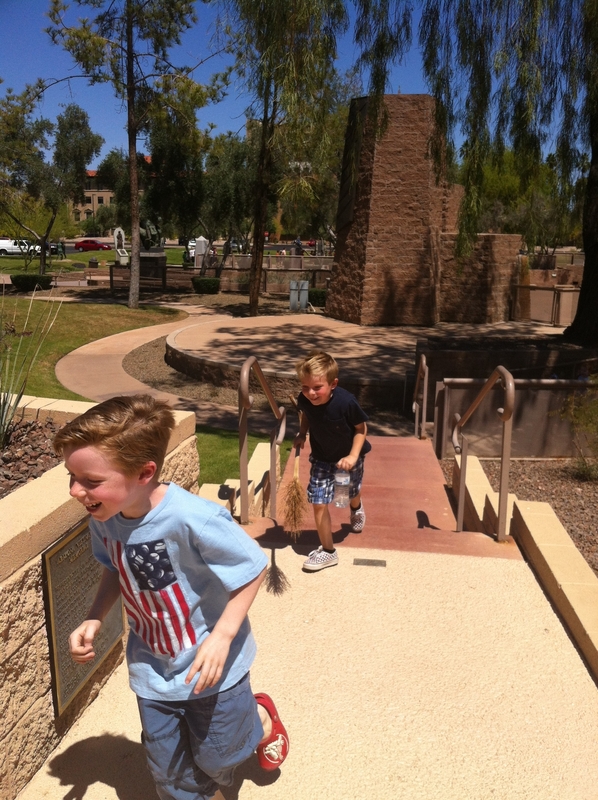 The boys ran all over the grounds, lacing in and out of monuments. The U.S.S. Arizona currently has two monuments at the plaza, a ship anchor and a mast. I knew I was pushing it with 3 little boys under the age of 7 taking them to a ceremony. They made me proud. Following the ceremony the boys were delighted to canvas the park, running like maniacs in the heat. I wish I had their energy. 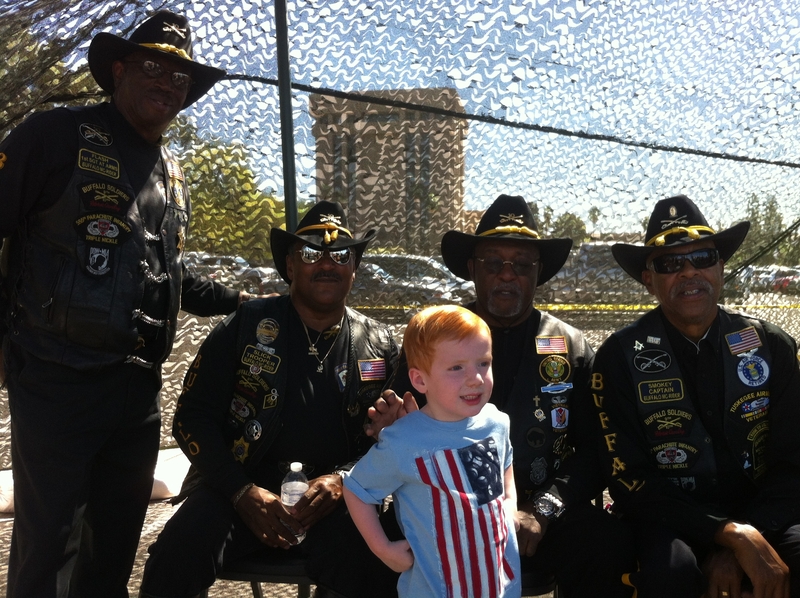 Max with the AZ Buffalo Soldiers. Max is very cooperative, Brady not so much.